Another well-planned and executed cruise from Southwold to Woodbridge Tide Mill, cruising at an economical 10 knots, enjoying slight seas and a 1-2 knot following tide all the way down the coast past Orford Ness to arrive at the mouth of the Deben at High Water for a safe entry over this shallow approach. Then carrying a further 1.5 knots of favourable flood tide all the way up to the Tide Mill to arrive just before High Water there for maximum clearance over the sill of 2.5m. The seas were calm and wind a mere 9-11 knots and our level of preparedness after two days in port set us in good stead for the day’s cruising. Our latest problem had been a water leak from our newly installed high-pressure water system which I had to repair in the bilges. Sandwiches were scarce for the voyage but we shared what we had and then filled in with biscuits etc. and had a flask each of tea and coffee. 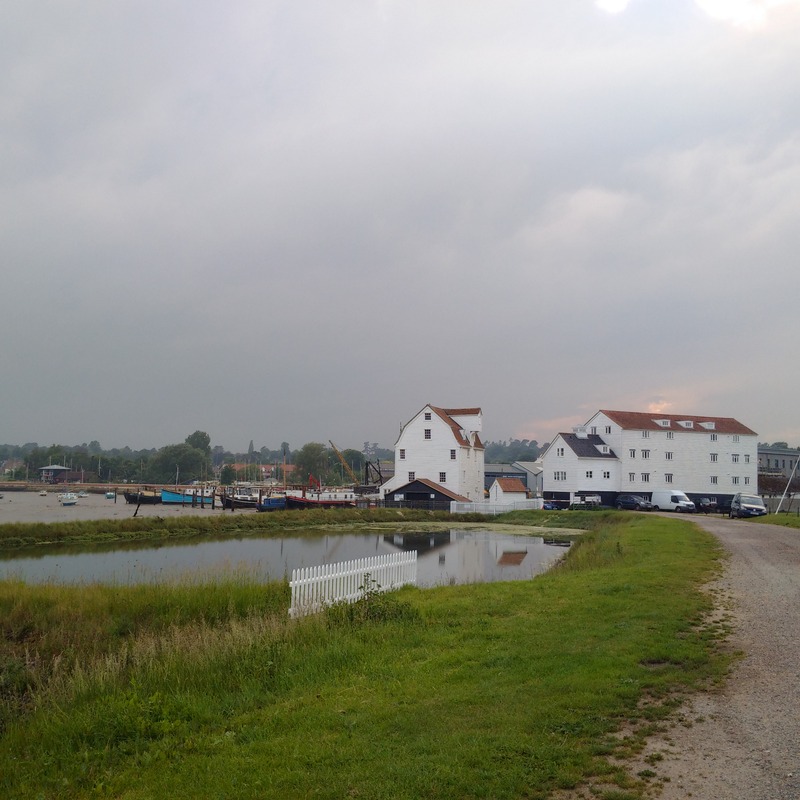 I was wondering why my colleagues had suggested visiting Woodbridge first and then returning to Southwold. 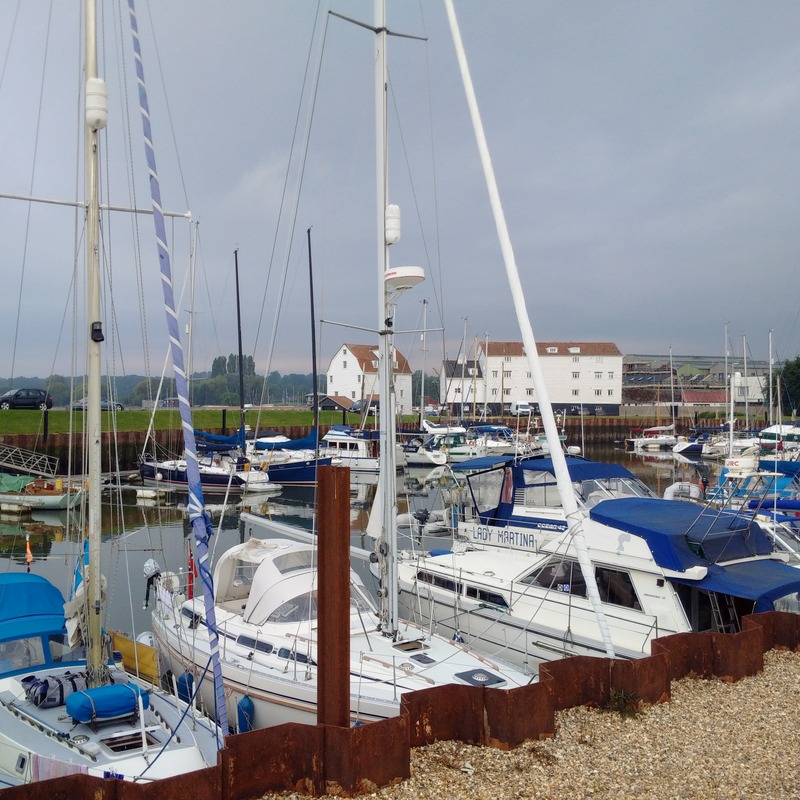 It would mean cruising at speed along the coast and rushing up the Deben against an ebb flow; risking upsetting moored boats in the process and then only just making the Tide Mill barrier access by inches of depth. Then I would be battling the tide again today and struggling to get up to Southwold and to find moorings at this very popular port there having settled for a late arrival. 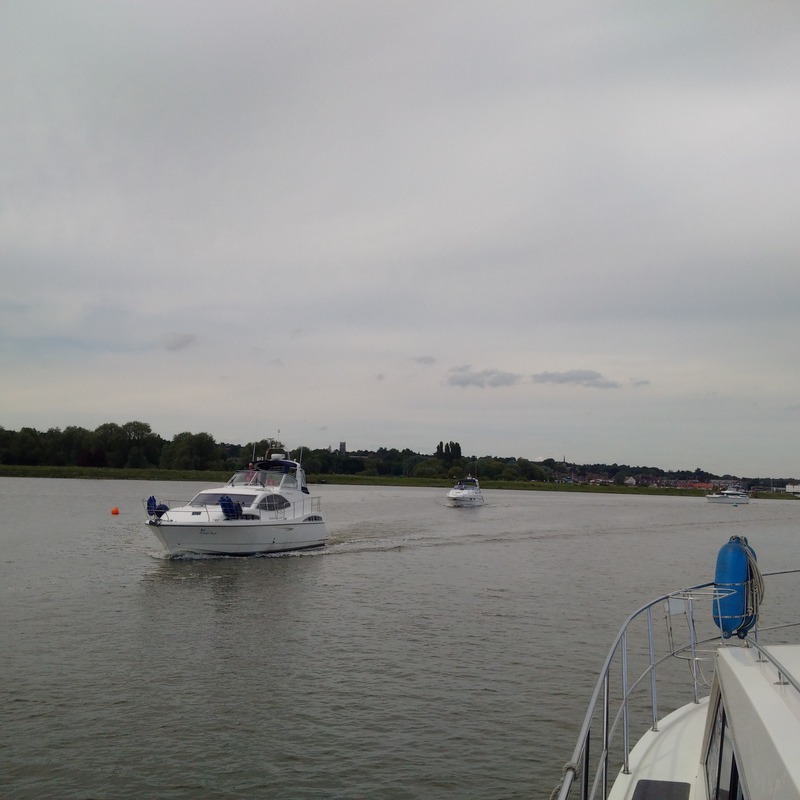 By contrast, we arrived at Southwold half an hour before high tide yesterday and then today we carried a following tide all the way down the coast and up the Deben where we had an extra 3m of depth at the difficult tricky entrance and then had 2.5m of depth over the barrier upon arrival. It was a splendid day, very slight seas and sunny warm weather and good visibility.